Readers & Writers. Better Together! to thousands of our social media friends. Unleash your writing potential now with Articles for Writers. you can achieve your writing goals. your book to new heights in sales and readership. 24-48 hours your video will be ready. Between a writer and a reader, there is a symbiotic relation. If one is missing, the other can't exist. Reviewing books. 4.9 Rating From 19 Reviews. Looking very good so far - let's see how this goes! Working with Bogdan for the third time now, and for the third time in a row the results and overall quality of work have been incredible. Communication, great. Service as described, great. Buy again or recommend? YES. If you ever need a quality mockup of a cover in a timely fashion, look no further. This is your man. Proud to be a lifetime customer. Excellent promotion that I am very happy to see implemented. Thank you! This is an awsome thing you guys do to improve the writing journey of a person. Used this service twice, had a great outcome with both, thank you! I recently ordered a book mock up for one of my novels and was really pleased with the results. Not only was it great value for money, it looks great and was delivered, via download, the day after I placed my order. Writers Pay It Forward did a wonderful job in featuring "Elle Burton and the Reflective Portals." They did much more than I am capable of right now as I edit two more books in the series. Thank you for increasing the visibility during the Holiday Season! I don’t know how you do it… you manage to just hit me “write” in the heart and between the eyes sometimes! 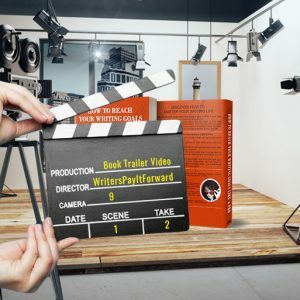 I'll come back, again and again, for your book trailers... with each new book I'll publish. 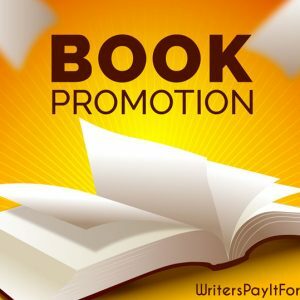 This is a great website the way it's set up it definitely going to help me because of my work schedule it's hard for me to promote my book like I want to do because of this website it has took a lot of pressure off me so recommend anyone who's trying to promote their book to use this website plus it's a great price. Just ordered a mockup for my paperback novel and am really pleased with it. A fast and reliable service. It is an absolute pleasure and an honour to be able to write for "Writers Pay it Forward". 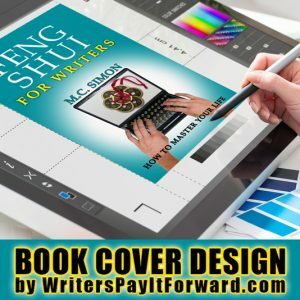 This website is a great and valuable resource for writers and readers alike and "paying it forward" makes the literary world go round! Bogdan and his team are amazing at what they do! This site is so cool! Thanks for helping aspiring writers, too. We need more people like you. Thanks for the great video you made for my book. You guys, rock! Fabulous service. 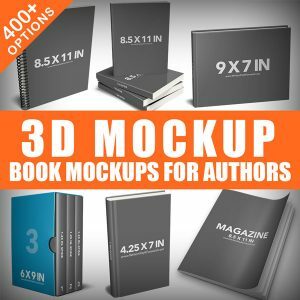 I ordered the 3D screen and book mockup to promote my books. The service was fast and the 3D mockup fantastic. I'm very happy to see the promotion work that has been done by you.